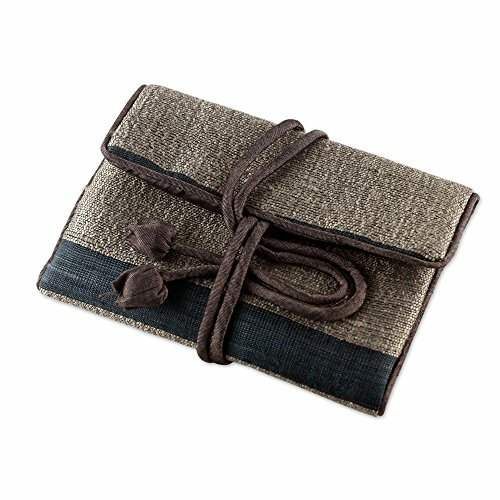 About this item: Handwoven from a delightful blend of silk and rayon, this taupe jewelry roll is both elegant and convenient. Thai artisan Vinita crafts the case, which features a large zip pocket, two small zip pockets, and a padded roll for rings that closes with a snap. The jewelry roll ties securely with two straps. Exceptional Artisan Quality by Vinita - crafted with care to be treasured for years to come.